Grammy-winner signs a new deal with the brand. New album, new haircut and new sneaker deal. Today, PUMA announces that it has partnered with singer The Weeknd, giving him the roles of global brand ambassador and creative collaborator. 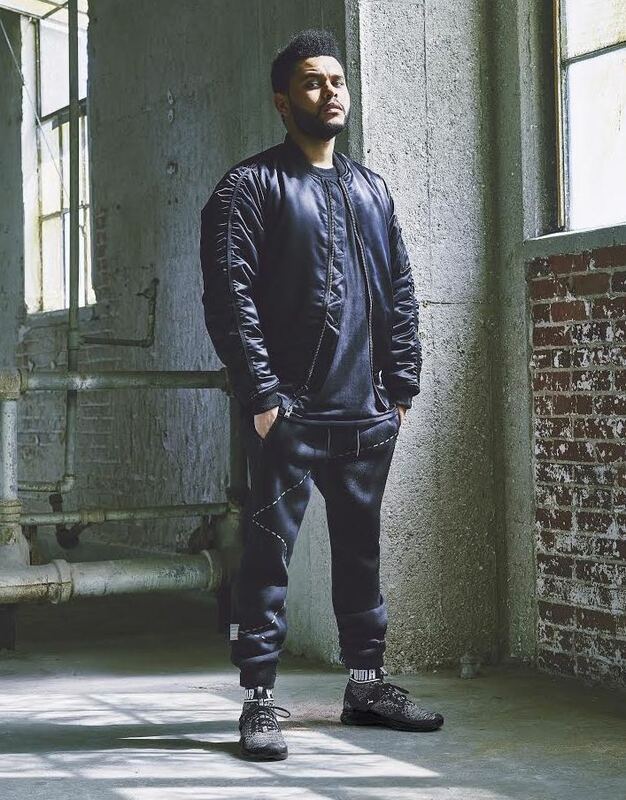 First, the Weeknd will headline PUMA's new Sportstyle campaign, "Run the Streets," which launches in Nov. He'll be suited up in the brand's newest products, including Ignite evoKNIT and Ignite Limitless sneakers and Evo apparel. The campaign speaks to individuality and creators who own their personal style. In 2017, the partnership will move into a collaborative collection of sneakers and apparel by the Weeknd himself. The collection will be a fusion of PUMA's sport heritage and the street-influenced aesthetics found in the Weeknd's label, XO. The Weeknd joins a group of celebrity endorsers that includes Rihanna and Kylie Jenner. We'll continue to give more details on PUMA x The Weeknd as the partnership progresses.